In the wake of natural disasters such as Hurricane Harvey it has been incredible to watch the community rally to provide food, shelter, clothes, love and so much more by those impacted. And as servants, givers, hostesses and friends, we find ourselves asking, “How can I help”? The Once A Month Meals community is no stranger to lending a hand, most notably in the forms of meals to encourage, strengthen and nutritious others. Over the years we, with the help of our members, have provided meals to those in need through our Freeze It Forward initiative. It started with a challenge over two years ago when we encouraged our community to use their freezer meals to gift those in need. Sometimes it was pregnancy, sometimes sickness. Sometimes it was just plain busyness. Over the years it has become more than a challenge, it has become a way of life as you, our community, have embraced this challenge and given so generously of your time, resources and—of course—your food. 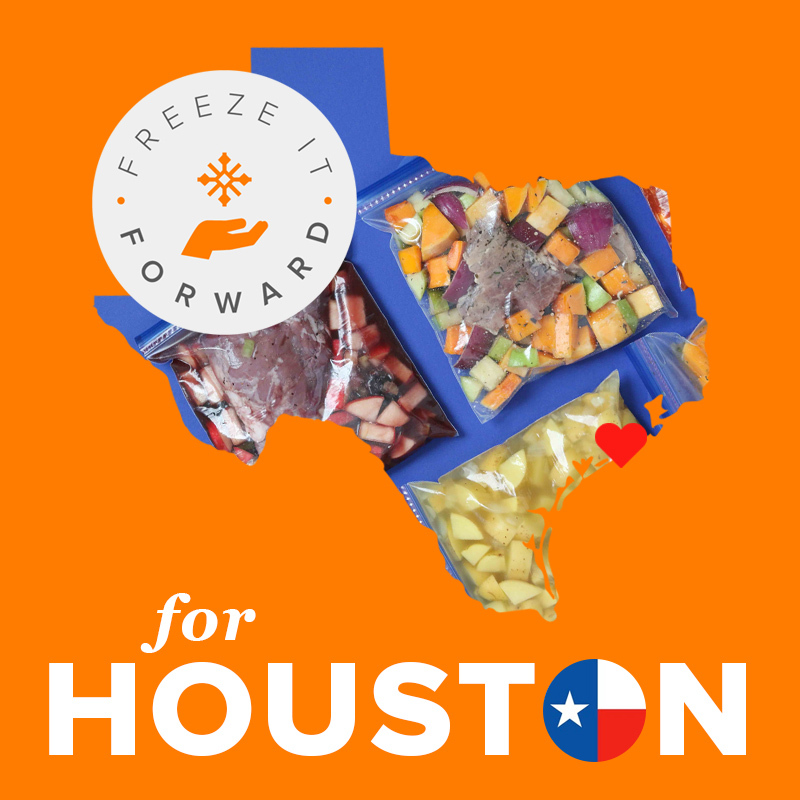 Through the month of September we are reinvigorating our Freeze It Forward efforts to assist in Houston with Hurricane Harvey relief by providing FREE Once A Month Meals memberships to individuals committing to making meals for others in or around the Houston, Texas area. This could be providing meals to shelter workers, those working on homes, and/or to extra mouths who have taken up residence in your home until theirs is restored. Getting started is simple, submit an application nominating you or someone you know for a yearly Once A Month Meals membership. Please indicate in what proximity you are to the area and how you intend to use the membership to bless others. There are a variety of ways that you can use Once A Month Meals to serve and we wanted to provide you with a few resources to think about to make this effective for your community. Below are some posts with suggestions for economical meals and/or menus that you can use to make food go a long way. 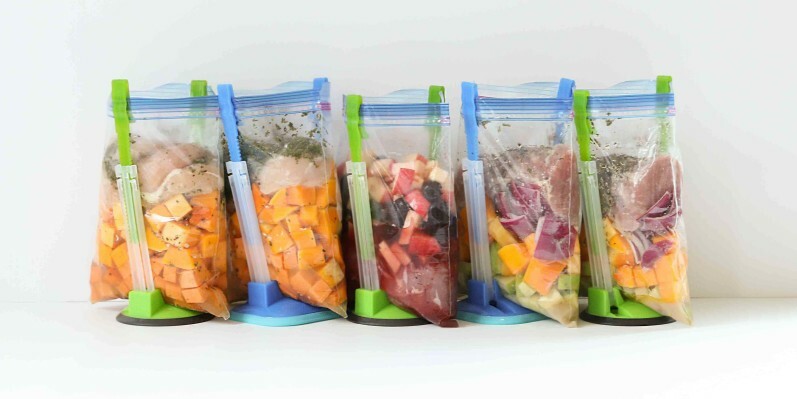 Make Lunches: Pick all LUNCHES (these are meals that are cooked on cooking day), this way you can use the grocery list, prep lists and cooking instructions to plan and execute your day. 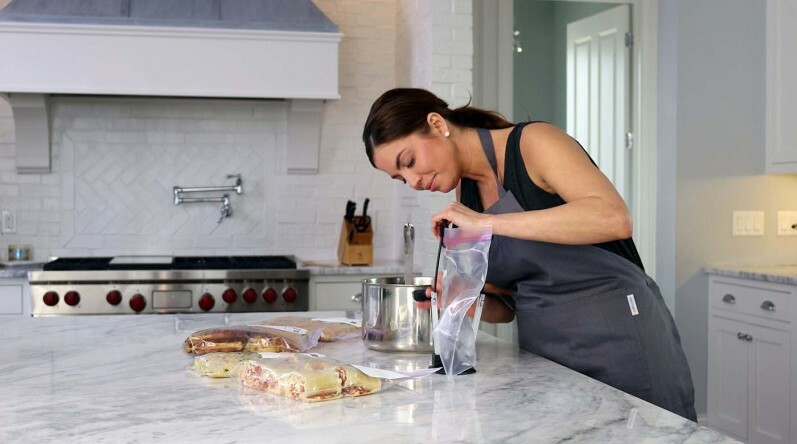 Our Recipes Double: Remember, our system doubles servings so if you are taking food to a location for workers and there will be 20 workers, set your serving size to 10. Contact Us: Our team is always ready, willing and able to help you build a menu that will work for your time and resources available. Don’t hesitate to reach out to us. Contact us in a chat (the orange icon in your bottom right hand corner of your screen) or via email at info@onceamonthmeals.com or on any of our social media platforms (Facebook, Instagram, etc)!